SKU: ZM51232. Categories: Health & Fitness, Fitness. Tags: health goals, Jeff Galloway, Running, weight loss, women's health. Olympian and running expert, Jeff Galloway has spent more than 50 years developing, practicing, evaluating, and teaching his Run Walk Run® method. He is now partnering with two primary care physicians, Ruth M. Parker and Carmen Patrick Mohan. They have over 50 years of clinical practice experience. Both physicians use Galloway’s Run Walk Run® method to achieve their own health goals and regularly prescribe this effective method to patients with common chronic health conditions. 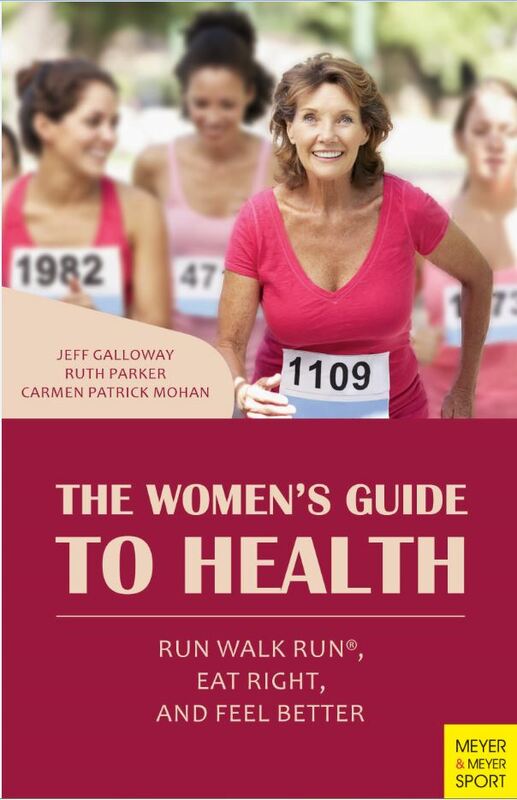 This team of experts have written The Women’s Guide to Health. This action guide combines Galloway’s Run Walk Run® programs with the best available medical knowledge for using Run Walk Run®. They use the Mediterranean Diet as key treatment modalities for chronic medical conditions related to excess body weight. It provides sequential action steps for overweight women who would like to begin a graduated exercise program combined with quality meal planning for weight loss. They summarize the evidence that supports our recommendations to achieve health goals. Run Walk Run® is then prescribed like a medication with the core components of daily dosage, frequency, indication, and method for building up to the cumulative dosage of 150 minutes of Run Walk Run® per week. Diet and nutrition advice is offered in the form of food prescriptions. Throughout the text, the authors integrate best evidence for forming new lifelong habits, encourage journaling as a core weight loss strategy, and use self-reported health numbers to catalyze meaningful conversations with health care providers. Jeff Galloway still runs marathons nearly every month. He has coached over a million runners to their goals through his retreats, clinics at events, individual consultations, running schools, and books. Ruth Parker, MD, is a primary care physician trained in internal medicine and pediatrics. She is a lifelong athlete who has completed 26 marathons using Run Walk Run®. Ruth is nationally known for her work in health literacy. Carmen Patrick Mohan, MD is a primary care physician trained in internal medicine and public health. She serves on the Medical Review Board for sharecare.com. Carmen was a competiftive runner who suffered many injuries until beginning Run Walk Run®.